Flying low over endless expanses of cerulean ocean, dotted with colorful reefs and tiny islands is something few can even dream of and this was simply the prelude to the incredible experience I was about to have. 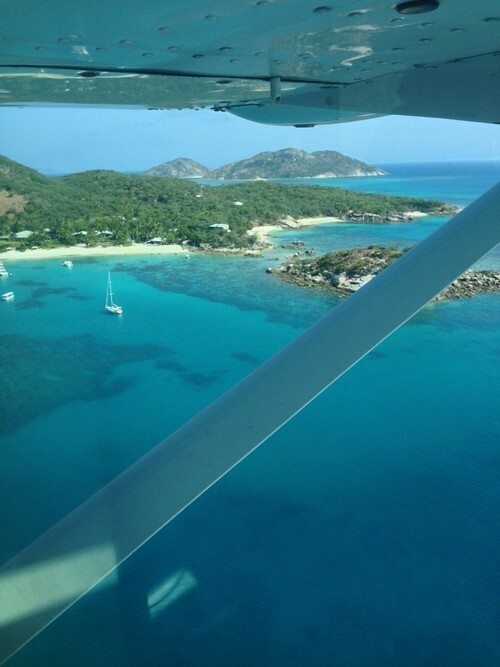 The fact that it is an hour’s flight from Cairns really shouldn’t put anyone off visiting Lizard, the flight itself is spectacular, giving you a bird’s eye view of the reef and the stunning ocean below. Landing at the heart of the island, which is only 10km2, we were met by the delightful team and whisked straight to the main lodge (all of 90 seconds away) to be met by champagne and afternoon tea and for our first glimpse of the spectacular surroundings. Lizard really is all about the views; be it the spectacular ocean panoramas or the rugged island landscape viewed from “Cooks Look”, so named from when the famous Captain dropped anchor here on the 12th August 1770. 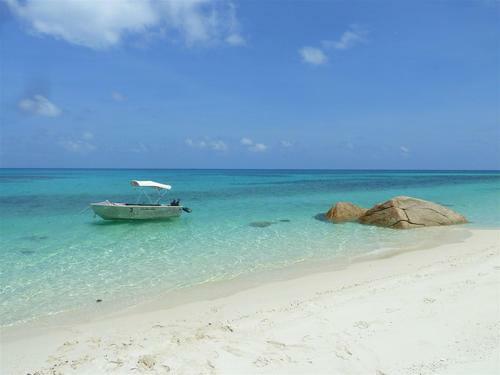 As soon as you set foot inside the main lodge, you realise that Lizard Island is an exercise in totally relaxed sophistication. It feels inimitably Australian, with friendly greetings of “g’day” a regular occurrence and whilst this laid back attitude is totally disarming, the team seem to couple it with a fearsome attention to detail. The main lodge looks out over Anchor Bay, with its calm waters and pristine white sands, home to the water sports center which is the main hive of activity when it comes to exploring the island. I was shown to my beautiful Anchor Bay Suite, with views down to the water. Rooms are simply decorated, with classic Aussie styling, splashes of color and lots of white wood, letting the views really take center stage. Aesop products feature in the bathrooms and whilst there are no baths here, powerful showers are perfect for washing off the salt after a day out at sea. Dining is very special too, be it a fine dining extravaganza or a delicious seafood bbq, it is served with flair and aplomb, alongside matching wines in the main lodge, with the lapping waves as the soundtrack to your meal. But I would highly recommend popping down the beach to the Marlin Bar, open to visiting yachties, staff and guests alike, for a relaxed drink as the sun sets and a great little location to meet fellow travelers and hear about their secret spots and great finds on the island. The water sports center takes care of all ocean-bound activities. It was my first stop to have my snorkel, mask and fins fitted (they are yours for the duration of your stay) and the passionate team here can tell you the best spot to see turtles (we saw 6 in the space of 20 minutes!) or give you directions to the Giant Clam Gardens. 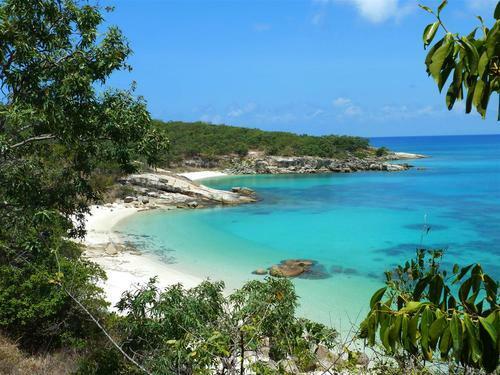 The outer reef is easily accessible from Lizard for really keen divers and snorkelers and the famous “Cod Hole” is visited on their reef charters. 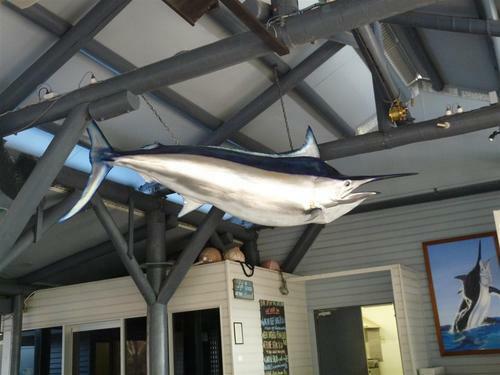 For big game fishing enthusiasts, Marlin and Sail Fish frequent these waters during the season, but Giant Trevally and other pelagic species are here year round. 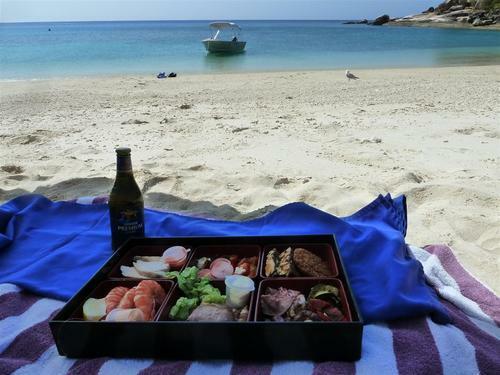 However, the highlight for me was taking out a motorized dinghy for the day, complete with a gourmet picnic lunch. We hopped around the island stopping at various deserted beaches and coves, swimming with turtles and exploring the reefs in total solitude – it really was a day I will never forget! 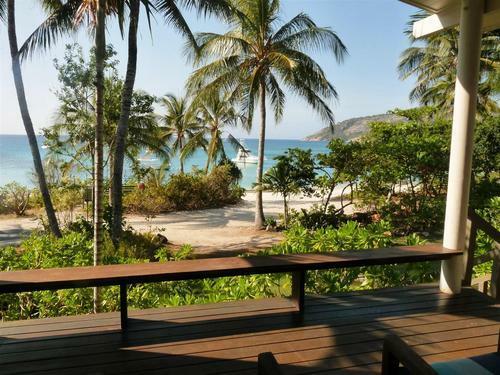 Lizard Island is the perfect haven for those looking to kick off their shoes, escape from the crowds and vanish, without sacrificing on comfort. Quintessentially Australian, with charming staff and a location that I can’t provide enough superlatives for, Lizard is now a firm favorite and somewhere I hope to return to one day soon.